Our team work with your Faculty or School to provide teaching sessions embedded within your programme of study. There is also a range of alternative support available depending on what you are studying. Outside of this programme specific and tailored support, you can also come to the Writing Café on the 4th floor of the Babbage Building between 13:00–16:00 to speak to a trained Student Writing Mentor or you can book a tutorial with the Royal Literary Fund Fellow by contacting 01752 587676. Dr Alicja Syska runs open hours in the Writing Cafe every Friday from 10:00–12:00 (drop in). Dr Jason Truscott runs open hours in the Writing Cafe every Thursday from 10:00–12:00 (drop in). Specific details available here. 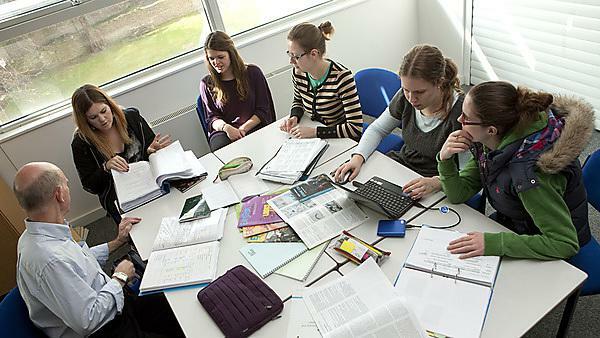 The Learning Development Team offer support and advice on a variety of areas including writing and presenting, developing thinking, communicating ideas and preparing for exams and assessment. Within the School of Nursing and Midwifery you have access to a dedicated Learning Developer. For further information on who to contact please visit the learning and development pages. This dedicated member of the Learning Development team will facilitate online discussion forums on your programme DLE page, provide scheduled group tutorials via Skype and offer workshops within your programme on a range of topics including exploring criticality, writing assignments and transitioning to the next level of study. Please contact them if you have any suggestions or requests for support.